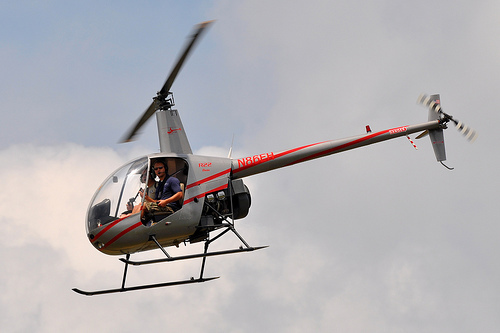 Add ons - ​Helicopter Flight Training Inc. If you are already a fixed wing rated private pilot they you can add a helicopter category to you license by completing the following requirements. Hold a PPL pilot certificate. Hold an FAA medical certificate. Obtain 30 hours of time in helicopters, including 10 hours of solo time. Pass an FAA oral and flight test. 15 hours of ground instruction. If you are a fixed wing rated commercial pilot they you can add a helicopter category to you license by completing the following requirements. Hold a CPL pilot certificate. Have a minimum of 100 hours pilot in command time in a powered aircraft. Hold an FAA 2nd-class medical certificate. 10 hours cross country time in a helicopter and 10 hours instrument in an aircraft. 20 hours of dual instruction. 35 hours of solo practice.